The genesis of this build started in October when I first laid eyes on the Phanteks Evolv Shift and started to see some of the first builds here, on overclock.net and youtube. Furthermore, I always wanted a Silverstone FT03 Mini ITX build but never could get myself to build one. Then the EVGA DG-87 came along and I thought it was ingenious how they made the front of the case the side and the side of the case the front. If you have a window you want to show it off and the symmetrical cable cover hid the wires and made it so clean. So when I saw the Shift it was like Phanteks melded the two together along with tempered glass that made me have to have it! All of the stars aligned for me to get cheap parts through sales, refurbs, ebay, and surplus to get me at a price point I was comfortable with which was $1,000. Previously I used my Plex Server (https://pcpartpicker.com/user/Trinergy/builds/#view=mMLD4D) as a gaming PC for four years. This will exclusively used to play mostly single player FPS games like Wolfenstein II, Assasin's Creed 3 through Origins, Watch Dogs, Hitman Absolution, BF1-4, Tomb Raider, Gears of War 4, etc. I am using an old Samsung SyncMaster 2243 overclocked to 66 MHz VSYNCED so that CPU and GPU are never going full board. 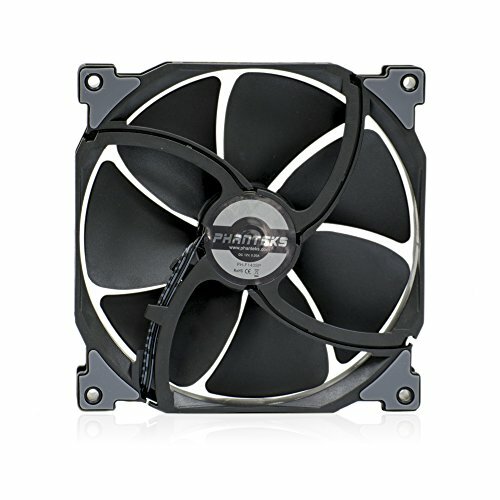 This reduces noise and temps. The paint color of the room and the pictures at night don't do well for the photos so sorry about that. MB: Refurb from Amazon with all new in bag accessories except for the original retail box. This Motherboard has it all for an ITX and just happened to match the cases color. It controls the RGB in the case through a Phanteks adapter and four way RGB splitter to connect the CM AIO fans and pump. I have the color set to a static Midnight Green (Obviously, I am from Philly and a fan of the Super Bowl champs). At this price it was cheaper than any used socket 1151 motherboard. Plus it could take advantage of overpriced higher speed memory and eek out a few extra frames. Extra fan header and complete fan control allows me to turn off both chassis fans to run completely silent. Cable header layout is perfect for this case without unusual wires crossing memory and CPU. 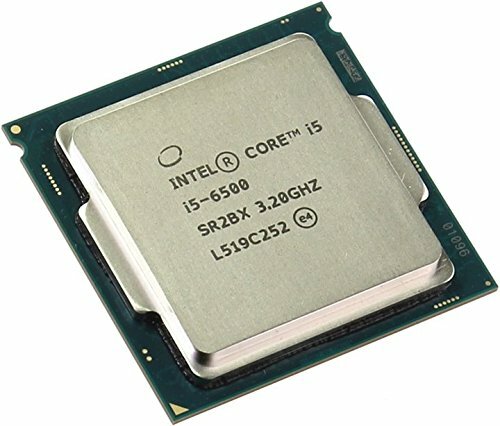 CPU: Sniped the cheapest i5 Sky/Kaby processor on eBay, knowing that thermal constraints and a 1060 would do fine paired with each other didn't spend extra money on a K processor. Now if I see one can be snapped up for that price later at least I can take advantage of it since I have a Z motherboard. Slight BLCLK overclock to 102.3 pushes turbo speeds to almost 3.7 GHz. Undervolted to 1.04v using offset "-" voltage. Will be testing how much lower I can go. Cooler: 120mm water cooling was going to be necessary because of the CPU clearance. This new CM cooler is cheap, comes with extra screws for a second fan, RGB controller that I can use in another build and a RGB splitter. 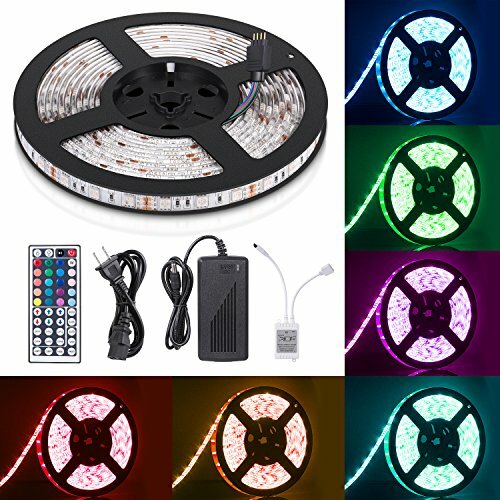 Non proprietary so I was able to use it with the motherboard and other 5050 LED strips. Keeps the CPU under 50C during gaming. Mounted at the bottom where it has maximum volume to pull air from. Mounted one fan below the case and another inside for dual cooling. With just one fan at the bottom where it was out of sight I didn't get enough illumination inside my terrarium. Bought from newegg. Memory: Cheapest memory available which also happened to be 3 Ghz. It is solid. You can throw it like a ninja star and hurt someone. It feels like a piece of lead. Matches the lines and shapes of the motherboard heat sinks so it worked out. It overclocked to 3.2 Ghz with the same XMP timings of 16-18-18-36 at 1.4v. Bought from Newegg. Storage: Yes I was able to grab a OEM XG5 1TB from a pull of destroyed new laptop. Runs fast but still not large enough to hold by whole collection of games. Didn't know I had so many. GoW4 takes up 250GB!!! 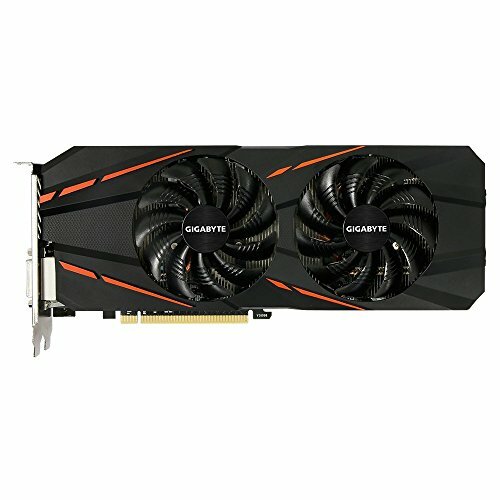 GPU: Snagged the GPU just as it came close to MSRP again back in November. I am so glad I did along with the memory prices today are out of WACK! I went with this over the ROG Strix because the Strix is too wide and needs to much CFM. The case does not have the ability to flow the amount of air that card needed. I did like it because of the PWM fan controls and Aura sync but ultimately size and thermals made me settle for the GB. The greatest thing about the GB is that it exhausts its air at the top of the card right where the Shift has the exhaust fan mounted. This was like they were designed for each other! Accidental engineering at its best. The length is also perfect as it doesn't encroach the cooler's secondary fan. Case: My inspiration. Beauty over utility. Know the constraints and use low TDP parts and you will be rewarded with a silent and beautiful PC. I left off the motherboard i/o shield to allow for natural convection to release heat out the top. Mounted the CPU cooler at the bottom because the area around the bottom opening is far larger than the one on the side. Since the CPU was never going to go over 50C it has not been a detriment to the 1060. The 1060 still boosts to 2053 Mhz. Two Phanteks 140 MPs silently intake and exhaust at the same speed through PWM splitter. I replaced the included fan with a Phanteks MP 140MM and added another one as intake. Phanteks Halo RGB fan shroud is attached to lower intake fan. The exhaust fan doesn't have enough space to add one there. I suspect if 120mm fans were used you would be able to add the halos to the front of the case with the light glowing from the side ventilation cutouts. I didn't like how it turned out ultimately so I still may remove it and use it in a future build. Cable management is easy in this case with the middle lanes that go around the case. Even the "backside" is free of ugly wires mixing through like a normal case would have. A USB C header would be perfect the addition in the future. Use large PSU wires (ATX Power, EPU Power and GPU Power) to go over the top of smaller motherboard wires and it will hide them well. A 40mm fan mount would have been perfect up in the top to help expedite hot air but with ITX motherboards not having many fan headers I understand why they didn't. Bought from Newegg while on sale. 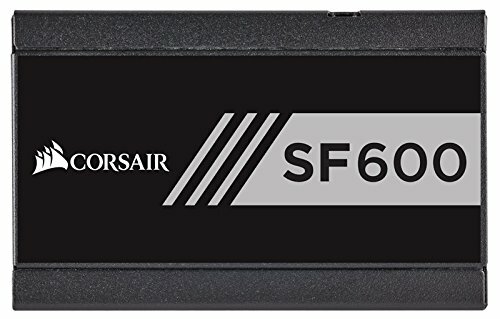 PSU: SF 600 was refurbished and on sale at corsair.com which is why I went with that one instead of the lower watt 450. I know people complain about the stiff cables but I had no problem with them and didn't need to get a set of custom cables. The fan never turns on in this setup. Overall, this is most purposeful and complete build using old, new and refurbed parts to create a stunningly mid range gaming PC. It runs Wolfenstein II at 91 Mhz using Mein Leiben settings. So it hits the right performance mark. The newegg and ebay parts were bought with the ebates.com shopping links which provided an extra 1-2% off since every little bit helps. If you want to signup use my link here to so that I can get some extra pennies to help with the next build. Thanks it takes time and looking for value from used, sales and refurbs. Also this was from October through November before GPUs and memory kept going.